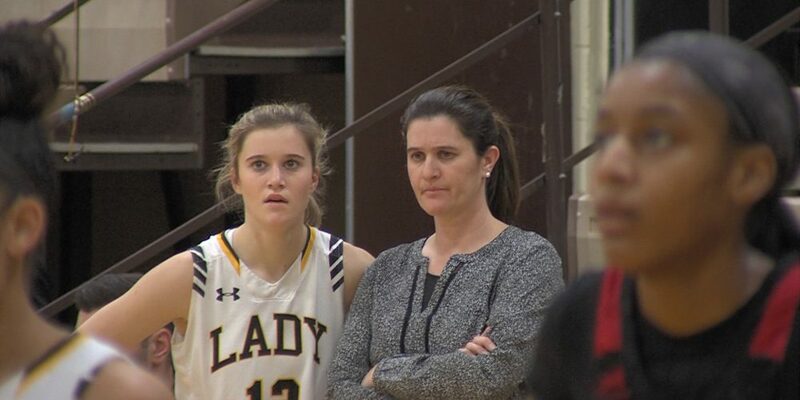 Saint John Vianney girls basketball coach Dawn Karpell and senior guard Sarah Karpell haven’t been caught up in the mother-daughter dynamic of their basketball relationship. The Lancers have been too focused competing among New Jersey’s best teams over the past four years. But when SJV scored a convincing 82-27 win against Neptune on Senior Night, coach and player took a moment to acknowledge that it’s been a special time for mother and daughter over the past four years. Coach Karpell has guided numerous elite athletes to the world of college basketball and Sarah is adding to the Lancer legacy. Karpell has signed to play Division I basketball in the Atlantic 10 at Fordham, but first she’s looking to lead her team to one more championship season before closing out her high school career. Sarah Karpell trained at Reach Your Potential Training in Tinton Falls since the 8th grade. Thanks to the support of RYPT, JSZ is able to shine the spotlight on the incredible athletes who train to get the extra edge!